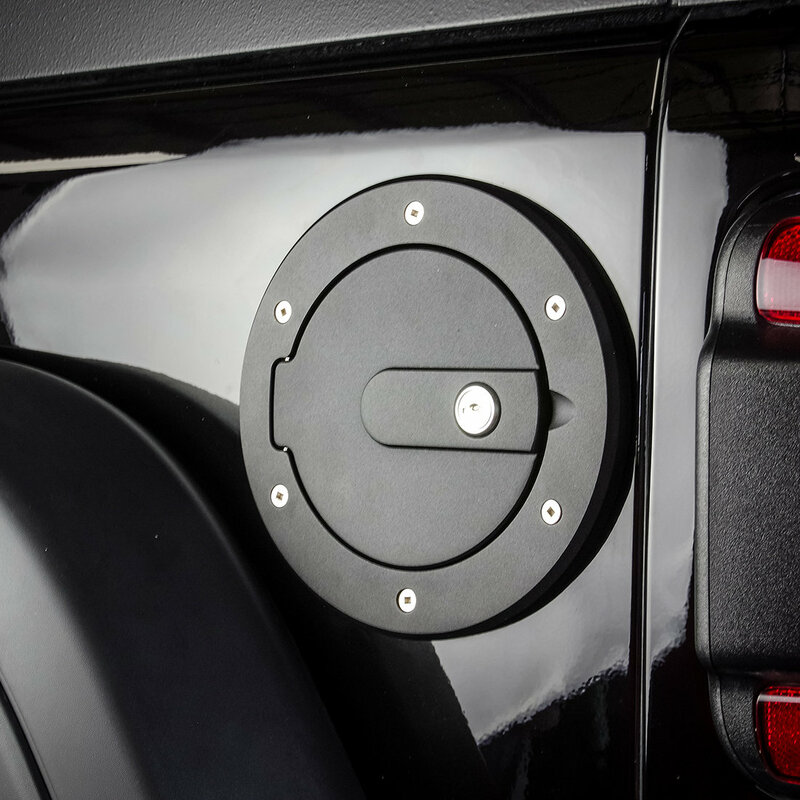 Adding a locking fuel door to your Wrangler JL is a not only great way to add some style to your Jeep but to also add some security so no one can mess around with your gas. 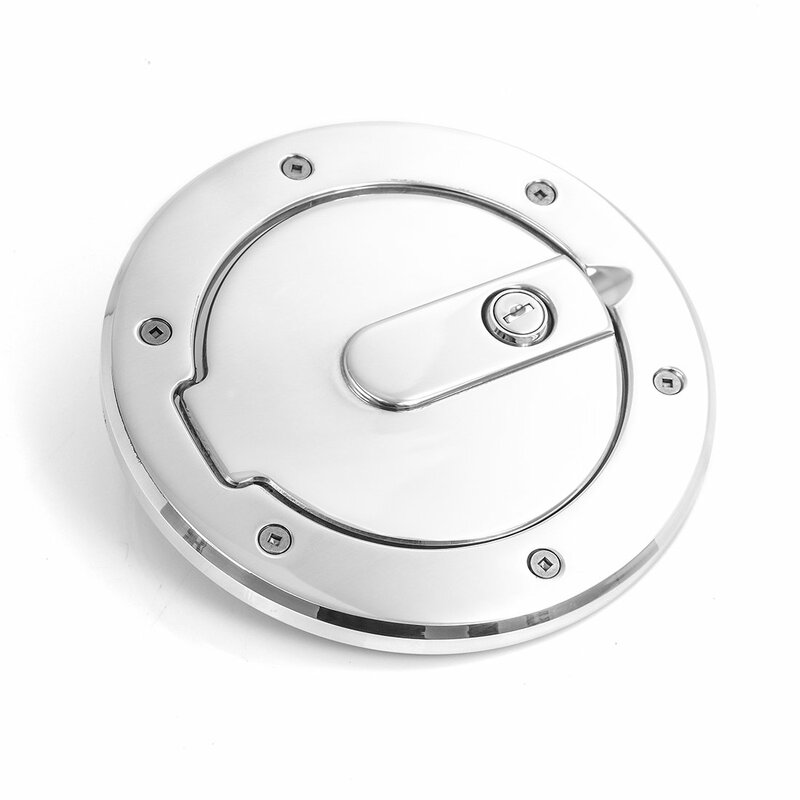 The Race Style Locking Billet Fuel Door from AMI will be sure to get you some extra looks from your peers. These race themed inspired fuel doors are made from durable 6061-T6 billet aluminum and come with stainless steel hardware to complete their look. 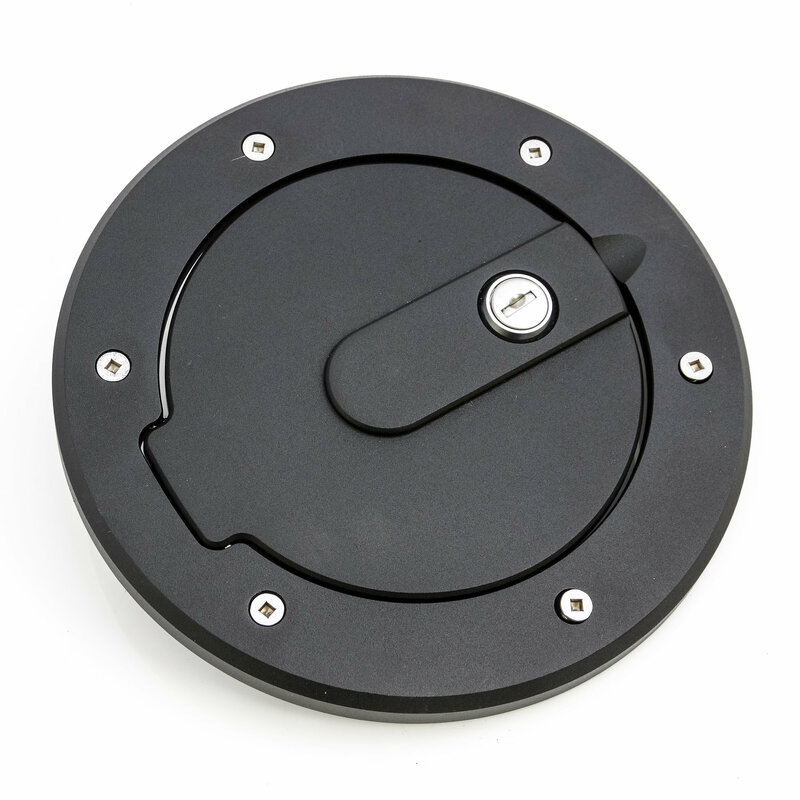 Comes in your choice of a classic polished finish or sleek flat black. 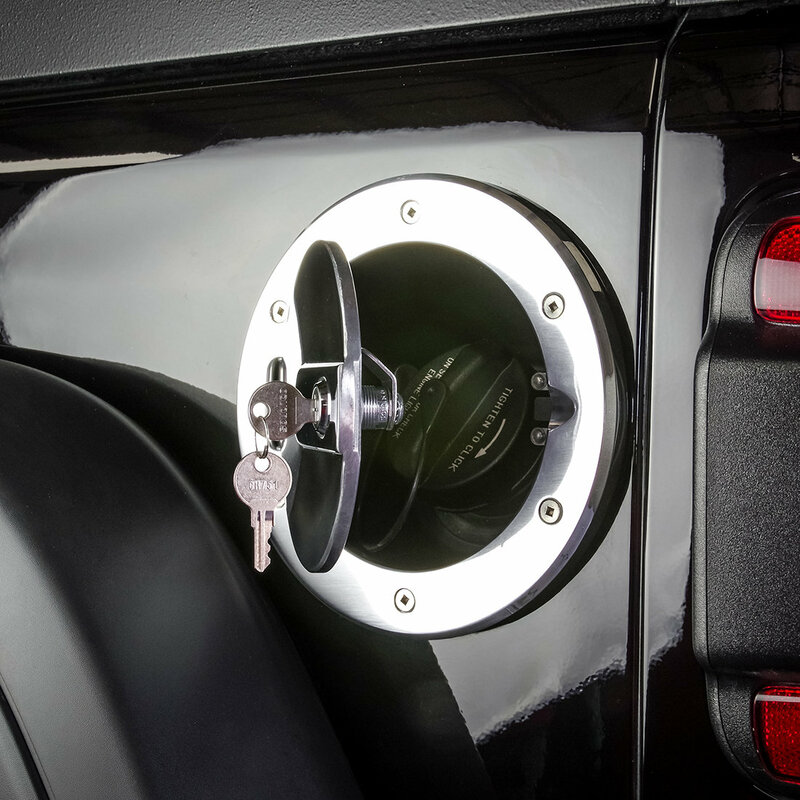 Locking Fuel Door: Makes sure no one can siphon or tamper with your gas providing you with peace of mind when not around your Wrangler JL. The door is of good quality, but it makes metal to painted metal contact at the outer edge of the OEM shroud. 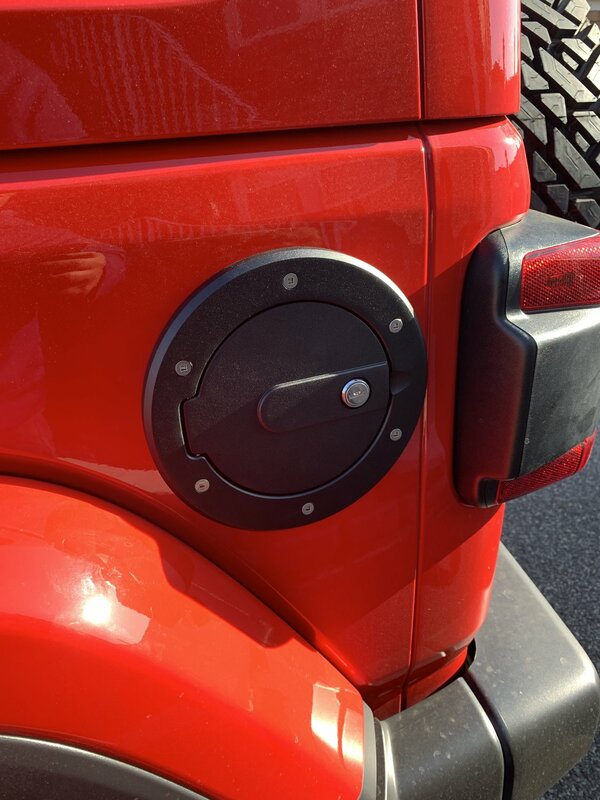 I have not installed it for that reason and am trying to figure a way to effectively protect the finish of the Jeep. (Applying silicone now to see if that's going to work.) I would suggest to the manufacturer that a pad be installed or included with the door to prevent damage. It is as advertised. I really like having the fuel door lock. I am pleased with the way it looks. My installer ordered it for me and installed it perfectly.